The perfect seasoning to use in place of salt and pepper! Enhances any meal. 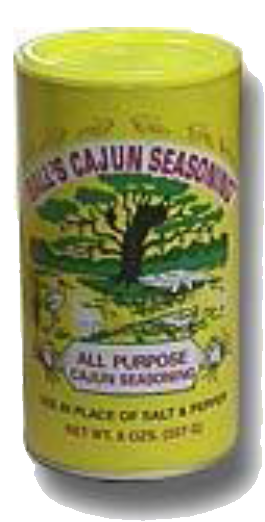 Use as desired on all meats, seafoods, poultry and wild game. Let set one or two hours in refrigerator before cooking. May also be used on vegetables, salads, etc. Contains: salt, pepper, spices, celery, onions, garlic, sugar, paprika and chili powder. Click here for recipes!